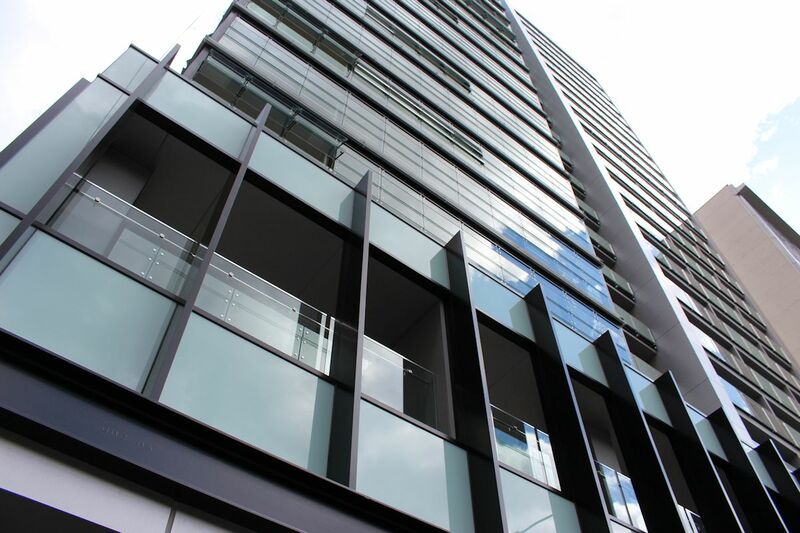 This week marked practical completion of developer Hengyi's maiden Melbourne project located within the CBD's legal precinct. 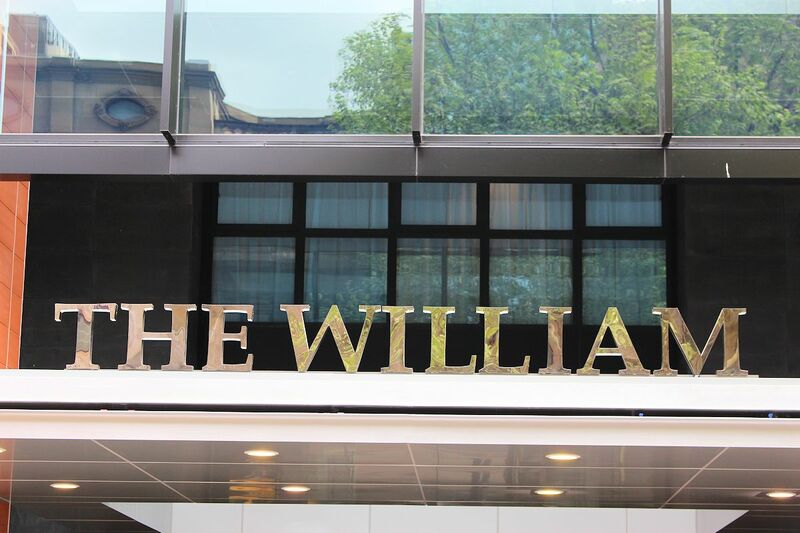 Completed during 1966 and formerly known as Communications House, The William has undergone a mass redevelopment after laying dormant for years on end. August 2012 signified commencement of works which included gutting the internal structure and paring back the original facade. With a Bruce Henderson Architects as the head Architect, Built acted as head contractor for the project while Nash Management acted as project manager and client representative. 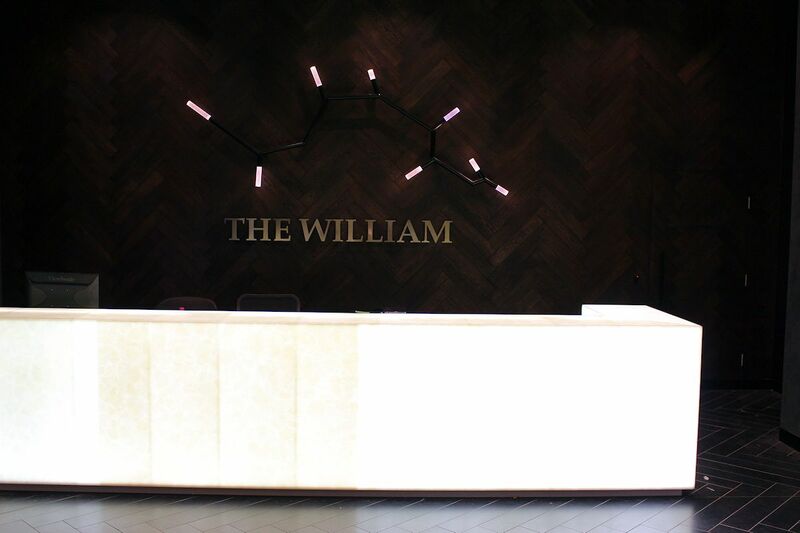 With The William's settlement stage in sight, Urban Melbourne visited The William in recent days and was given a guided tour with Hengyi's Stephen Speer and Nash Management's Simon Manley providing insight into the building attributes. Originally dual 20 level commercial towers dated 1966. Redeveloped as The William: expanded to 24 levels (eastern or William tower). Ground level: 12 retail tenancies dual entrance points (30-300sqm). 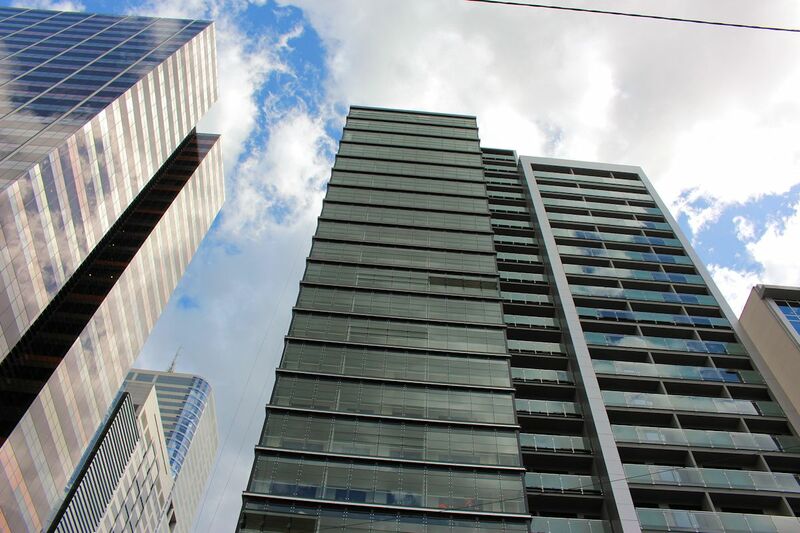 86 serviced apartments over levels 1-4 titled Wyndham on William. 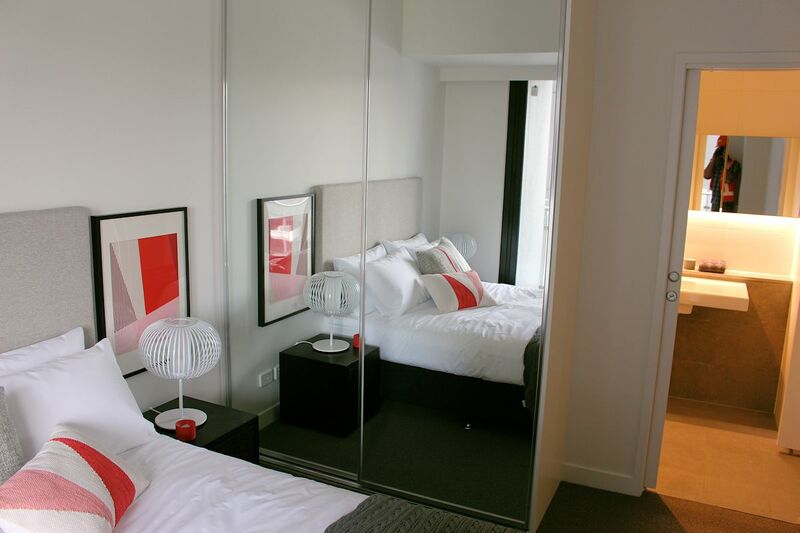 443 apartments: 1 & 2 bedroom options from level 5 and above (near on sold out). 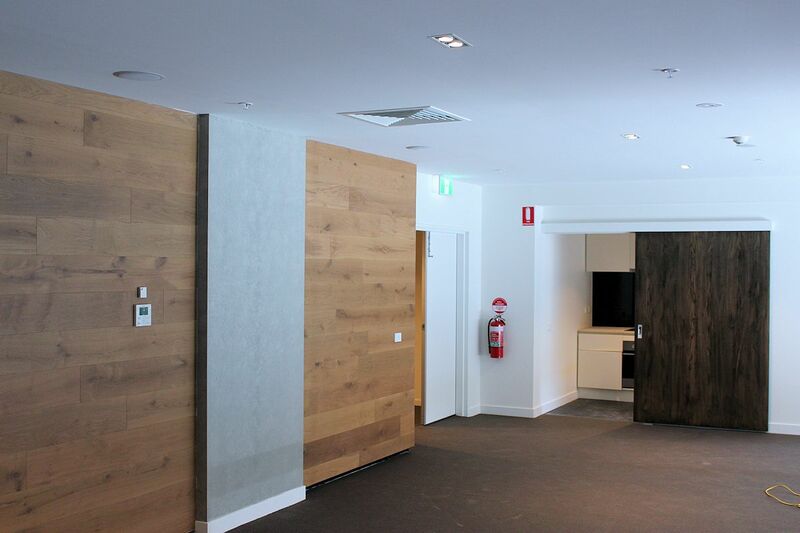 Level one amenities: gym, meeting rooms, conference space, open plan library/lounge area. 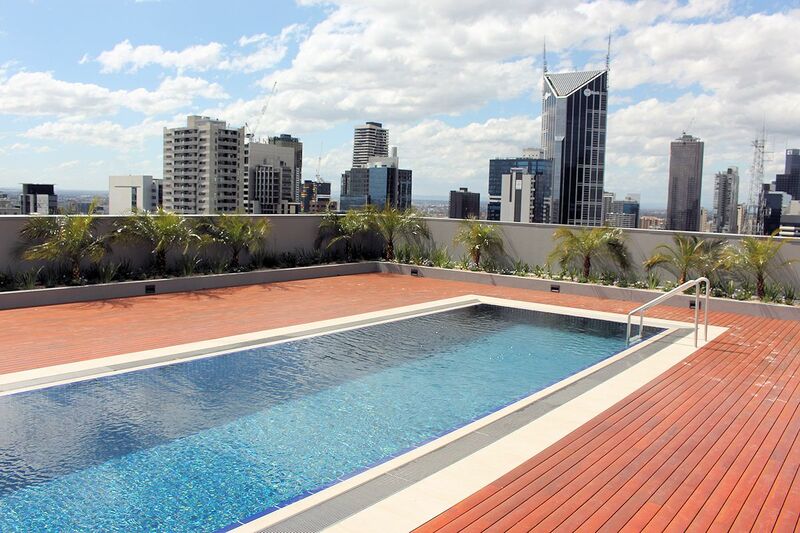 Rooftop pool on William tower, with BBQ facilities. 3 commercial spaces: one contract in progress. 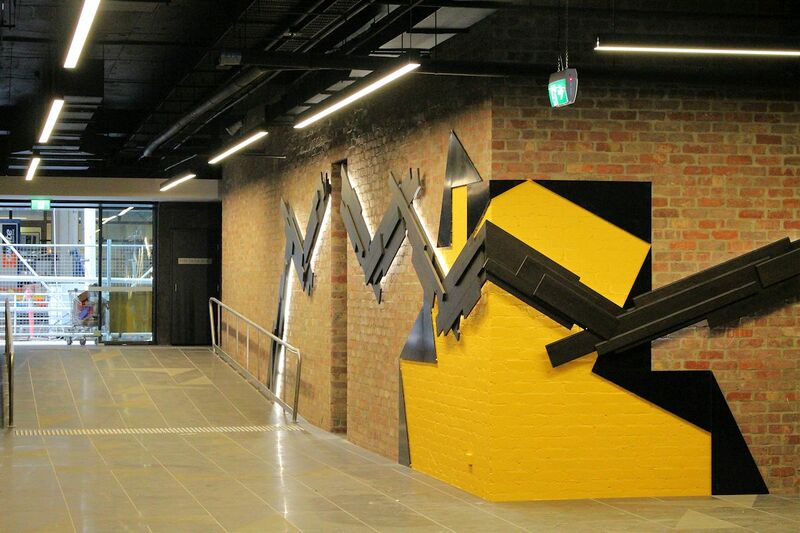 3 basement car parks accessed via Little Bourke Street. The transformation includes a new façade system and updated building services, as well as the introduction of significant environmental initiatives such as photovoltaic cells that will generate power back into the grid and rainwater harvesting. The building is expected to achieve an impressive 7-star energy rating. Gone is the dated cream facade of a bygone era, replaced by a contemporary skin of glass, louvred wintergarden spaces and aluminium composite panelling. 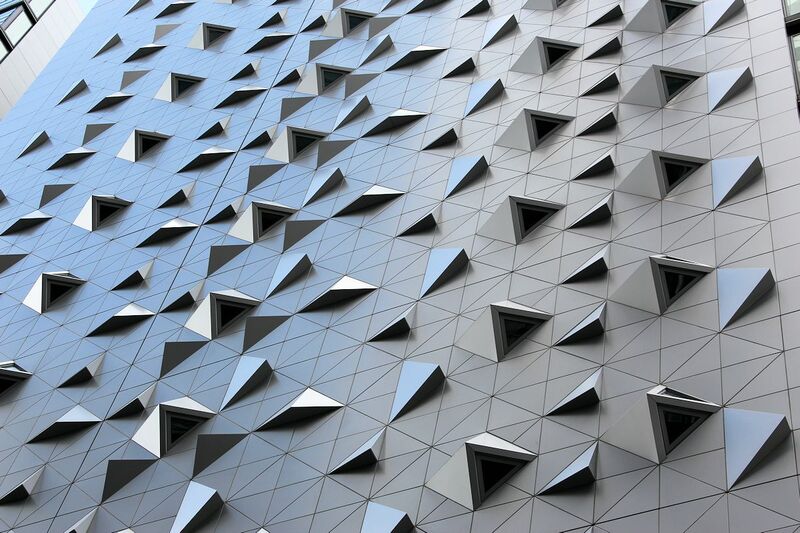 A standout feature is the 'studded' southern facade as seen above which when illuminated during night hours will cast light via its triangular protrusions. William Street and Little Bourke Street both hold pedestrian entry points, with Little Bourke Street connected to a remodelled Guests Lane. Guests Lane and surrounds will hold 10 retail outlets, with a number of contracts in process. 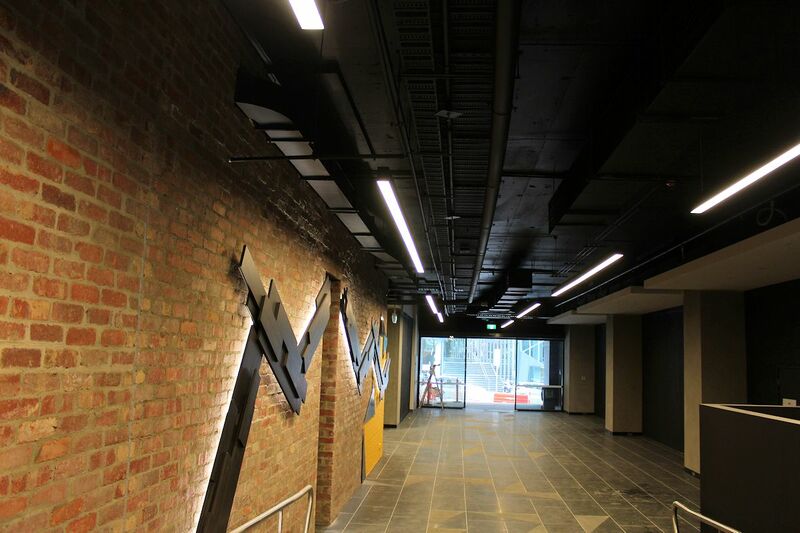 Coupled with the revamped adjoining Owen Dixon Chambers West Building, the common area between the two buildings will act as a new retail and social hotspot. The residential lobby fronting William Street holds a certain brooding yet refined tone owing to the colours and materials chosen. 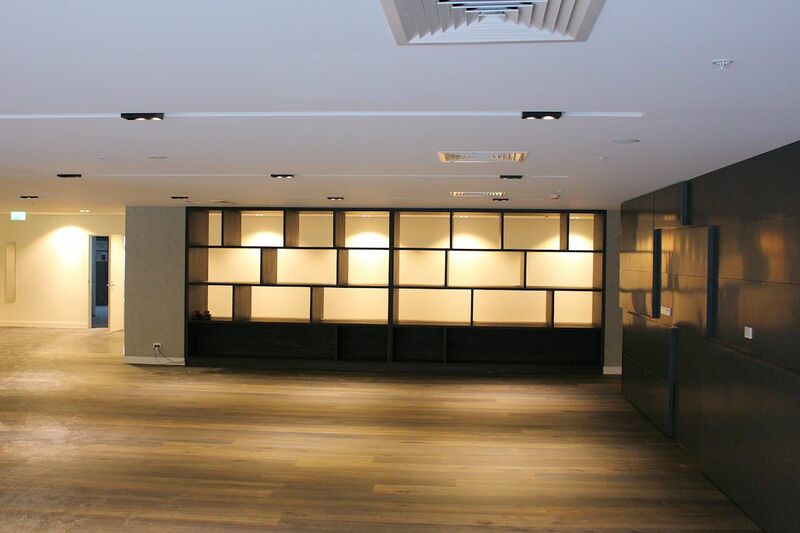 A product of Carr Design, the area features granite paving, dark wood finishes and walls of leather surrounding the lift area, all contrasted by light ceiling finishes. Seven lifts service The William, split between four dedicated residential lifts, two dedicated Wyndham lifts and the ever present goods lift. 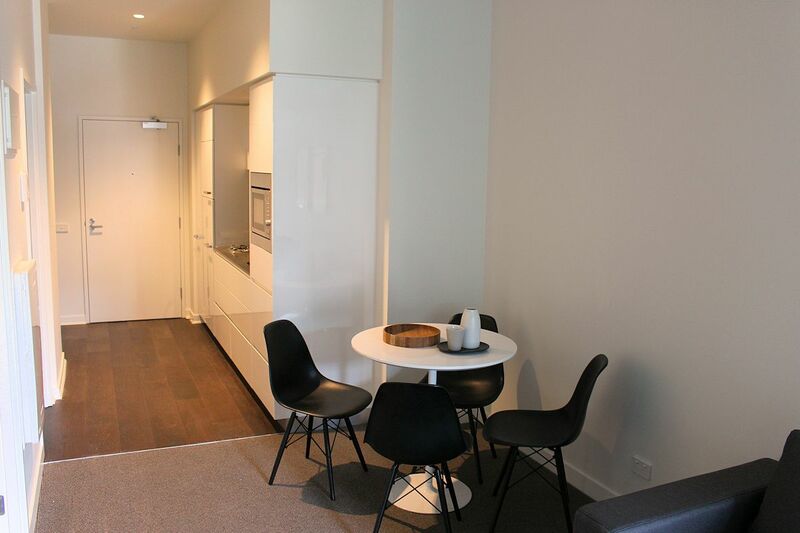 Level one holds a variety of common areas over its sprawling layout, amplified by the lack of furniture during Urban Melbourne's visit; the area has since been fitted. Separate recycling and garbage chutes are a feature, adding to other initiatives such as PV cells and rainwater harvesting which according to Bruce Henderson Architects will propel The William to a 7-star energy rating, although this has yet to be confirmed. All apartments have access to either wintergardens or balconies over all aspects, with living areas generally abutting these areas. A portion of apartments carry second bedrooms that are reliant upon borrowed light, perhaps due to the depth of the existing structure while the overall apartment finishes are light and all in all very impressive. The William is topped by an open yet heated pool with immaculate views of Melbourne skyline which would no doubt be well used during summer, perhaps less so during the winter months. Nonetheless an impressive space and one of the few open air pools available in Melbourne's CBD. The William both externally and internally is quite competent in its proportions and finishes. Urban Melbourne's first visit to a refurbished building rather than new build threw up some perceptible differences. The William's apartment sizes would be mid range yet felt much larger; visually apartment ceilings felt higher than usual owing to the former commercial use of the tower. Communal spaces and passageways within the building were also more than ample, verging on massive relative to new build communal spaces. I'd suggest The William's best feature is what it provides back to this area of Melbourne's CBD. The influx of retail space and residents/hotel guests will go a long way in activating a pocket of Melbourne's CBD that's dominated by commercial space and hence sees comparatively little street life outside work hours. All in all The William looks to be the right project in the right position. 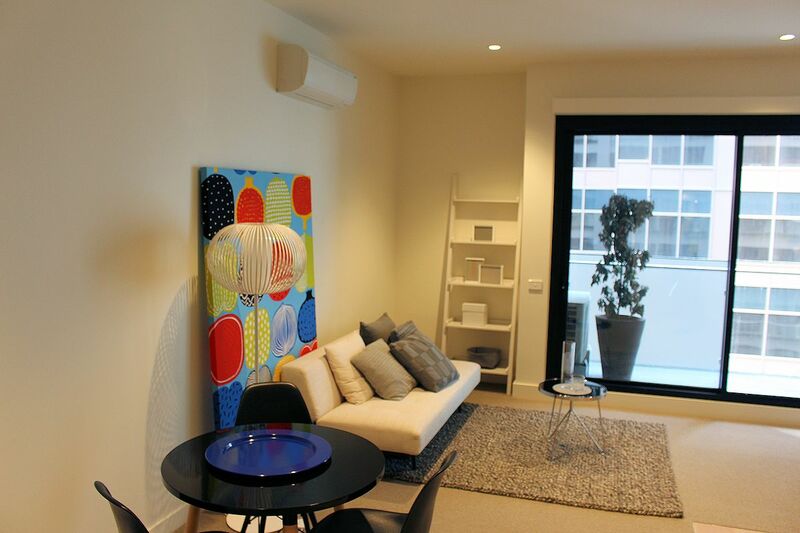 See below an image slideshow of The William's internal spaces, apartment finishes and external form.